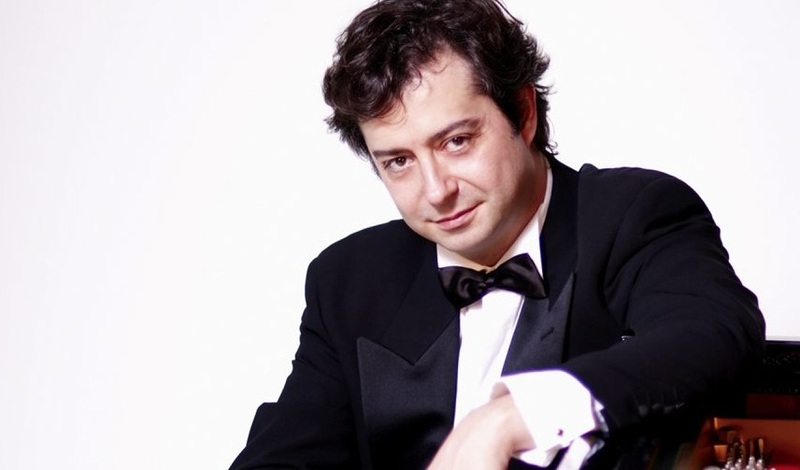 Fabio Bidini is a favorite with Buffalo audiences. He performed again with the Buffalo Philharmonic Orchestra. Valentine’s Day may have come and gone, but Saturday night’s Buffalo Philharmonic Orchestra concert, “Bidini and Brahms,” was heavy on romance. Music director JoAnn Falletta’s programming of three Romantic masterpieces was an ideal showcase of the BPO’s strengths and her own larger-than-life podium presence. Headlining the program was the colossal Brahms Piano Concerto No. 2, a work that has always been somewhat of an acquired taste for me. Lacking the lush melodic appeal of Rachmaninov and the slam-bang pyrotechnics of Liszt, the Brahms concerto tends to appeal more to the discerning connoisseur than the casual classical music fan. Clocking in at around 50 minutes with its four gigantic movements, this concerto can be demanding for both performers and audience. Guest pianist Fabio Bidini’s performance with the BPO rendered all of my reservations moot. Bidini’s past appearances with the BPO included Romantic showpieces in Tchaikovsky and Rachmaninov, and here his deeply resonant tone and rock-solid technique was again an ideal fit for Brahms. In addition to the requisite big sound, Bidini’s ability to bring out melodic lines amidst the thickly woven textures was a masterclass for any aspiring pianist. As one might expect from Brahms, this piano concerto is also a glittering showpiece for orchestra (some have even called it his “Symphony No. 5”). Falletta and BPO proved ideal collaborators, matching Bidini’s Romantic temperament and providing gorgeous solo contributions from Roman Mekinulov on cello, Jacek Muzyk on horn, and Henry Ward on oboe. Following intermission, the BPO kept the romance theme going with selections from Prokofiev’s "Romeo and Juliet" suites. Shakespeare’s timeless tale of young love has inspired generations of composers, with Prokofiev’s iconic ballet score among the most beloved and recognizable for audiences. Perhaps the ensemble was still a little drained from performing the Brahms, as it took a little while to settle in. I found myself wishing for a little more rhythmic “punch” and ensemble precision in a few of the early movements. However, the orchestra found its groove toward the finale. Falletta drew some glorious colors from the group in “Romeo and Juliet Before Parting,” and the machine-like precision and blazing sound from the strings in the climactic “Death of Tybalt” was truly astonishing. The night was framed with a pair of Russian gems: Borodin’s cinematic "Prince Igor Overture" and a crowd-pleasing encore in Khachaturian’s "Masquerade Suite" waltz. "Bidini and Brahms," featuring guest pianist Fabio Bidini on March 23 and 24 in Kleinhans Music Hall. Visit bpo.org.